Unnecessary Censorship Central has put out two videos of Reaper of Souls dialog censored in some... interesting key spots in the discussions. My oh my does it ever change the discussion... You have to see it to understand but this is for a mature audience. Visit their YouTube page for more parodies! just too funny, Tasha shared this with me and I had to post it. 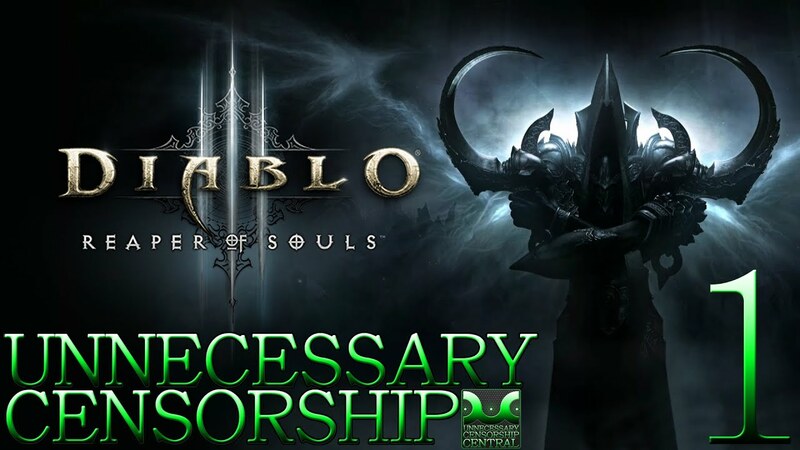 A guide on how to prepare for Diablo 3: Reaper of Soul's upcoming patch 2.1.2 and Season 2. A lot of Season 2 has been discussed at Blizzcon 2014 if you need to brush up on whats to come as well in further detail here. Mischief Managed: New Treasure Goblins! Blizzard is heading to PlayStation Experience! Blizzard Entertainment will be at the PlayStation Experience fan expo, taking place Dec. 6-7 in Las Vegas. The creators will be there for the "Pick up and slay: Diablo's journey to the PlayStation 4" panel, where they will discuss how gamers and iconic PlayStation franchises (Shadow of the Colossus, The Last of Us) helped shape this game. For tickets, go to http://www.playstation.com/PSExperience. With Diablo 3 Anniversary in full swing, CarbotsAnimations has put together another video like his opening video for "Reaper of Souls". In this new video of Diablols he recreates the opening cinematic from Diablo 3 in the most adorable way!